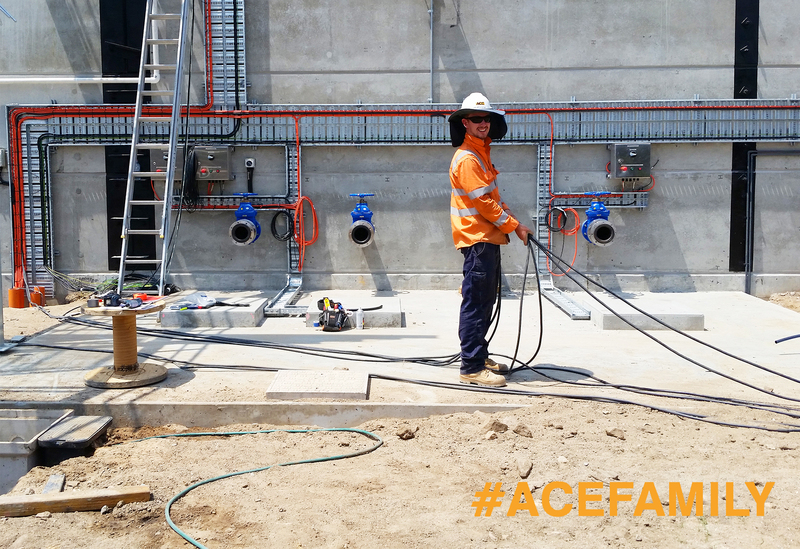 A position within Ace Contractors Group not only allows you the opportunity of working for an Australian owned and established company, but also one with over 45 years of experience in the contracting industry. You will witness the vibrant and friendly team dynamic that spans our offices and construction sites – because at ACE, it’s our people and their relationships that make the difference. We strive to ensure that the culture of our working environment is one of support, friendship and knowledge and look for people who care about the impact that their work has on the overall success of our company. Our continued success as an integrated, multi-disciplined contracting supplier depends on our strong team and finding innovative ways to deliver the best outcomes for our clients, across all of our departments – Civil, Electrical, Environmental, Infrastructure, Landscape and Water. If you strive to be at the top of your game, you will be supported by like-minded professionals working to achieve ACE’s values. We’re an equal opportunity employer and already employ a diverse range of men and women from all over the globe. We encourage suitably qualified and eligible candidates from a wide sector of the community, including women and indigenous cultures to work with us. We celebrate our diversity! Ace is such a supportive welcoming workplace, a great place to come to work every morning. I have worked for Ace for over 7 years now and love the work environment, the people and the culture.